Test Laboratory of Limided liability company “CCME VNIIMP” is accredited by GOSSTANDART of Russia (now as Federal Agency on Technical Regulating and Metrology) in testing of a wide range of medical products. Please, do not hesitate to contact us by phone +7 (495) 611-36-11, 611-46-33 if you have any questions concerning tests. Contact persons: Golikov Valentin Akimovich, the head of Test Laboratory, Tsvetkov Dmitriy Yur’evich, deputy head of Test Laboratory. Also you could make a request/order a test service at our website item “Make a request”. We offer you to carry out certification tests of your products in our Test Laboratory and then to get a certificate of conformity for these products in our Certification Body or in another certification body, accredited for the right of conducting the certification of these particular medical devices. If you need to conduct certain technical tests of your medical products in an outside test laboratory (for example, if you do not have your own test equipment), then we offer you to carry out such tests of your products in our Test Laboratory. Our Test Laboratory is accredited for the right of conducting the technical tests of imported medical devices with the purpose of their registration in the Ministry of Health (now as Federal Service for Surveillance in the Sphere of Healthcare and Social Development (Roszdravnadzor)). Your organization is going to conduct the certification of medical devices in accordance with Directive 93/42/EEC «Concerning medical devices». Some medical devices should be tested according to valid European standards that apply to these devices. The necessity of tests depends on medical device classification and a conformity assessment procedure that applies to this device. Testing in European test laboratory is quite expensive and not convenient for domestic manufacturers. 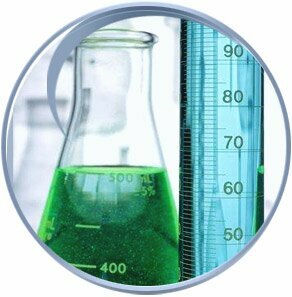 We offer you to carry out such tests of your products in our Test Laboratory. A representative of a European certification company, a test engineer assists in conducting of the most difficult types of tests. Final test report is worked out in English. Please, do not hesitate to contact us by phone +7 (495) 611-36-11, 611-17-38 if you have any questions concerning tests for getting European certificates of conformity.